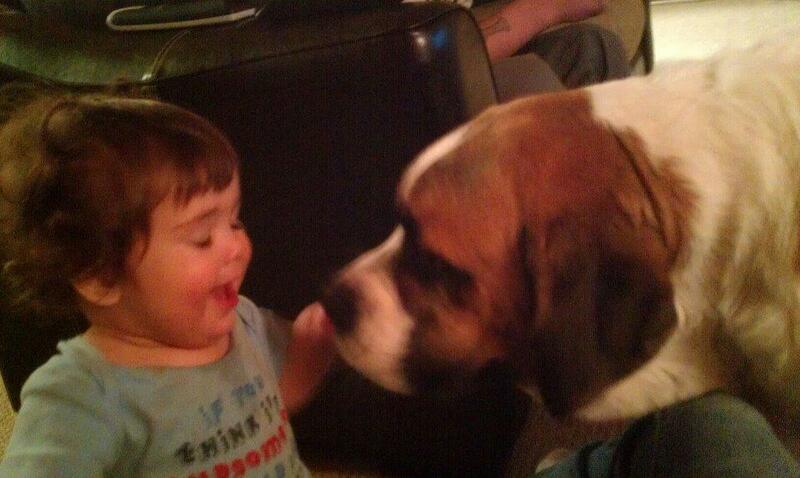 We were absolutely terrified to introduce out son to our Saint Bernard Ava. 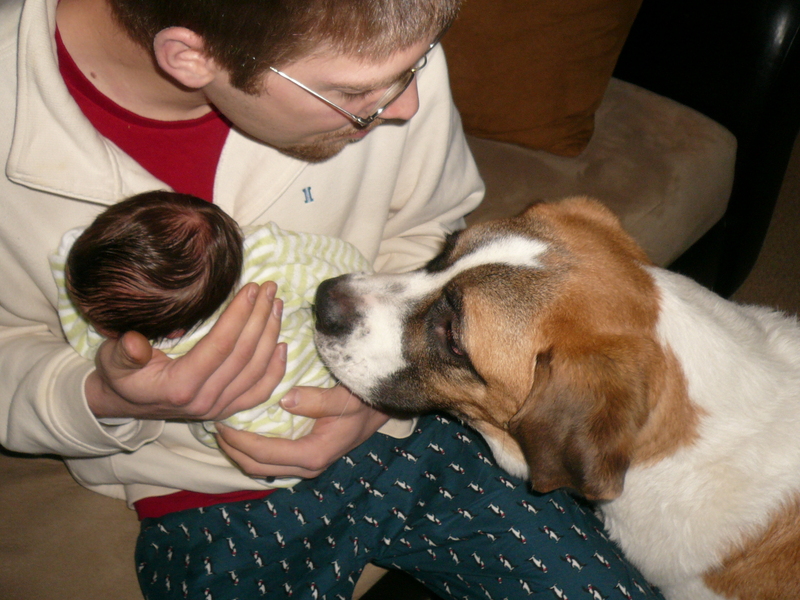 Mainly because she was a puppy at the time (well still is only 2 now) and we weren’t sure on how she would react. She’d never even seen a baby before let alone have one in the house! We realized that Ava loved Kyler the day we went into town to get groceries. This is a big family adventure as the nearest grocery store is 2 hours from home. Anyways, a friend came up and opened the door when we pulled up to visit and Ava put her body over Kyler and barked and showed her teeth likes she’s never done before! Not even for us! She was protecting her baby!